These machines must be strong since they are often used to cut metal, stone and similarly tough substances, and therefore require durable parts themselves, which have a high price tag. CNC Machine Shop – Thuro Metal Products, Inc.
Additionally, installation and maintenance costs also make CNC machine ownership costly. Rather then buying expensive CNC machines independently, a company with production needs may go to CNC machine shops to get the job done cheaply and efficiently. If a company requires specific items in large volumes, whether custom or standardized, that can easily be arranged as well. CNC machine shops provide a number of detailed operations including CNC grinding, which uses an abrasive wheel, disc or belt to provide automated precision material removal and surface finish. Milling, cutting and precision machining are examples of other procedures offered by machine shops. 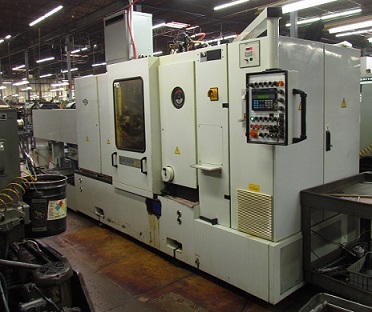 A host of industries access machine shops, including medical, automotive, defense contracting and aerospace industries. Dental, recreational, fiber optics, hardware and thermoforming industries also use CNC machine shops. With the use of CNC machining, very little “finishing” to remove rough edges or blemishes is needed, but secondary services, such as polishing and painting, are often offered by machine shops. CNC Machine Shop – Avanti Engineering, Inc. 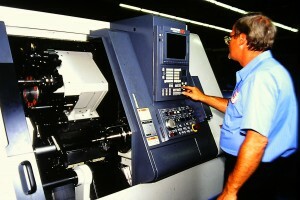 When utilizing CNC machine shops, it is important to know the parameters of the required machine part. Going in with an idea of what procedure is needed or having a design plan is helpful during the initial steps of the process. In those cases, CNC machine shops will base the design code on specifications given to them with custom machine work, or they will take an existing part and create code based on photo imaging programs. There is also always the possibility that a standardized machine is suited to produce the specific part brought in, which is less expensive. Either way, quality is assured when the company is certified through the National Institute of Metalworking Skills, and/or complying with the standards set by the ISO, an acronym for the International Organization for Standardization. CNC Machine Shop CNC machines manipulate raw materials by way of machine-operated cutting tools that are programmed by one of the CNC computer programs, such as computer aided design (CAD) and computer aided manufacturing (CAM).